Milk is considered very effective to straighten your hair. Take 1/2 to 1/3 cup of milk and pour it into a spray bottle. Spray this milk all over your dry hair. Let it stay for 20-30 minutes then wash with mild shampoo. Use wide tooth comb to remove tangles and gently brush your hair while still wet. Mix one cup of coconut milk with half cup of lemon juice. Cool the mixture in the refrigerator until it turned into a thick cream. Then rub the mixture on your hair until it is evenly distributed. Massage the scalp, then cover your head with hot towel or wrap the hair with a shower cap. Let it stand at least for one hour then wash off with regular shampoo. A mixture of coconut milk and avocado pulp is also a wonderful hair mask to soften and straighten hair. Apply this mixture on your hair and let it stay for one hour and then wash off with mild shampoo. 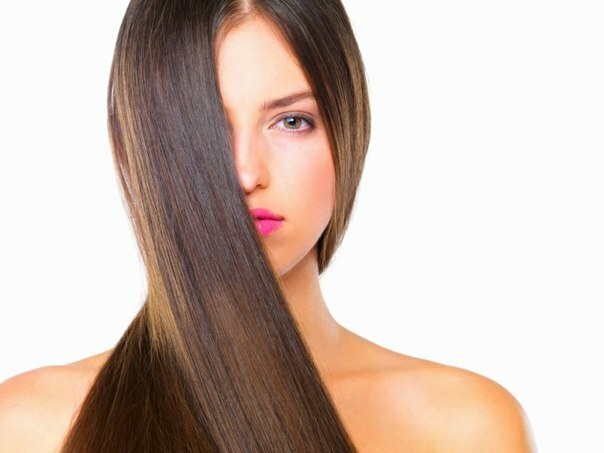 A mixture of Milk, honey and strawberries works wonder to naturally straighten hair. According to your hair length, take some milk and add few drops of honey. Mix them well and then add a mashed strawberry into this mixture. Again mix all the ingredients and apply on your hair for 1-2 hours. Then wash off with regular shampoo. Use wide tooth comb to remove tangles and gently brush your hair while still wet. Apply some castor oil on your hair.Turn the blow dryer on the highest setting that your hair can tolerate.While blow drying, slowly comb your hair from root to tip. Do this until your whole hair is done.Take a cold, mildly damp washcloth and pat it very lightly on your hair. Dry it off with a soft towel. This method don`t works well for too much curly hair. (i)Avoid Stress, Pollution and Over exposure to Sun because all theses factors adversely damage hair texture. (ii)Avoid blow drying or ironing wet hair because it damages hair and leave behind dull and dry hair. (iii)Avoid chemical hair straighteners because they intensely damage hair follicles. (iv)If you have born or naturally curly, frizzy, or wavy hair then electrical appliances such as a blow dryer attached with brush or a straightening iron to straighten your hair are much better than chemical because these are less harmful to your hair.